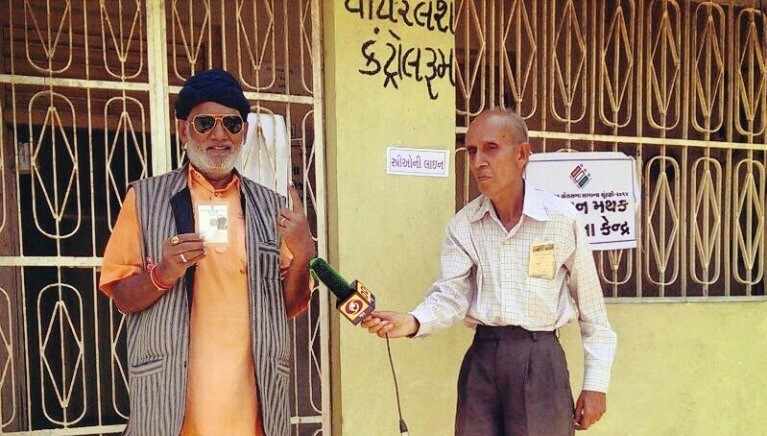 Why did the EC set up an entire polling booth just for this man? And it's done so four times before. 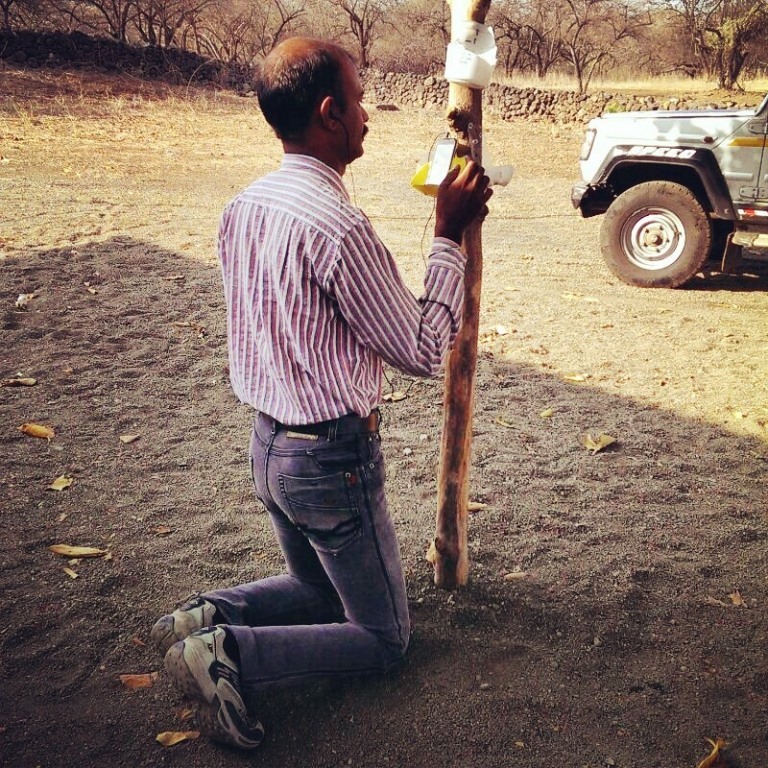 Bharatdas Darshandas lives in solitary splendor in an ashram in Banej, 20 km deep in Gujarat’s Gir forest. 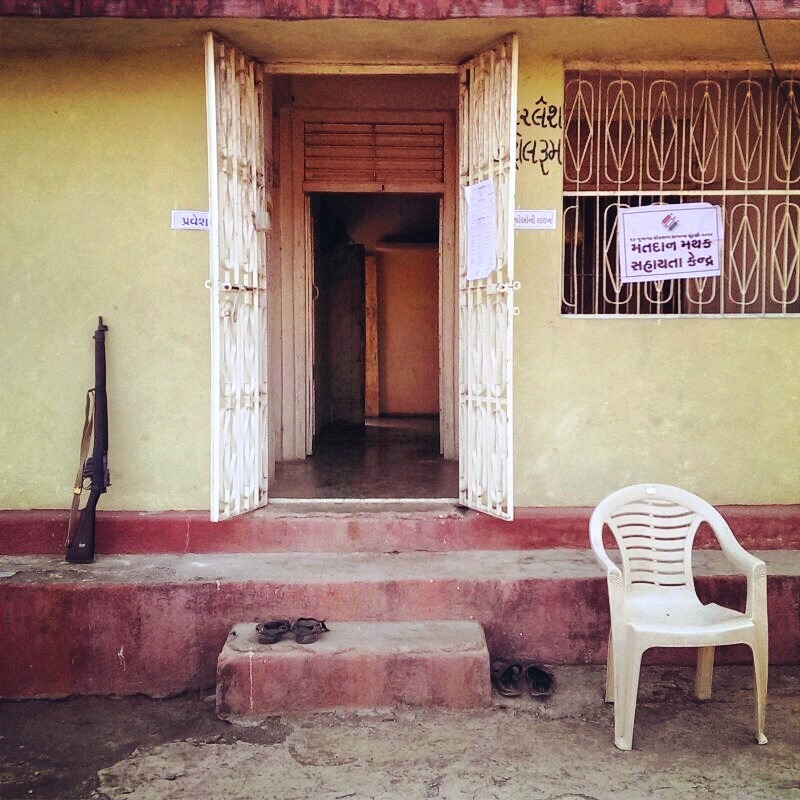 On Wednesday, a clutch of five Election Commission officials and a policeman gathered at a watchpost deep in the jungle to transform it into a polling booth solely to cater to the 65-year-old priest. Election regulations require that voters should not have to travel more than 2 km to cast their ballot, so all these staff had been mobilised to ensure that one man could participate in the world’s biggest democratic exercise. 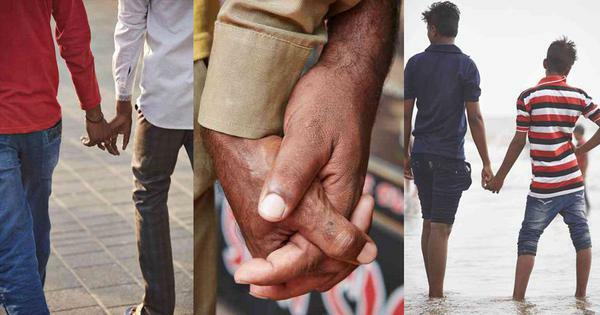 Darshandas – or Bapu, as he prefers to be called – is no stranger to this kind of attention. The EC has set up this booth solely for him four times before. On polling day, Bapu took his time getting to the station, so officials instructed journalists who gathered to witness the event to go off to shoot the lions in the interim. The forest, after all, is the last home of the Asiatic lion. Near the post, officials had set up a pole with several rough-hewn plastic boxes on it, each with a mobile phone inside. Each box was in a different colour, each representing a different network. For some reason, officials said that the phones wouldn’t work unless they were placed in the boxes. Just past 9.30 am, Bapu made his appearance, followed by a TV camera. But the officials wouldn’t let the crew into the booth to shoot Bapu voting and an argument broke out. Bapu waited patiently, watching the squabble. In the end, the crew gave up, and Bapu went inside to cast his vote. He came out to declare that Banej had now cast 100% of its votes and that he could confirm that to the world. 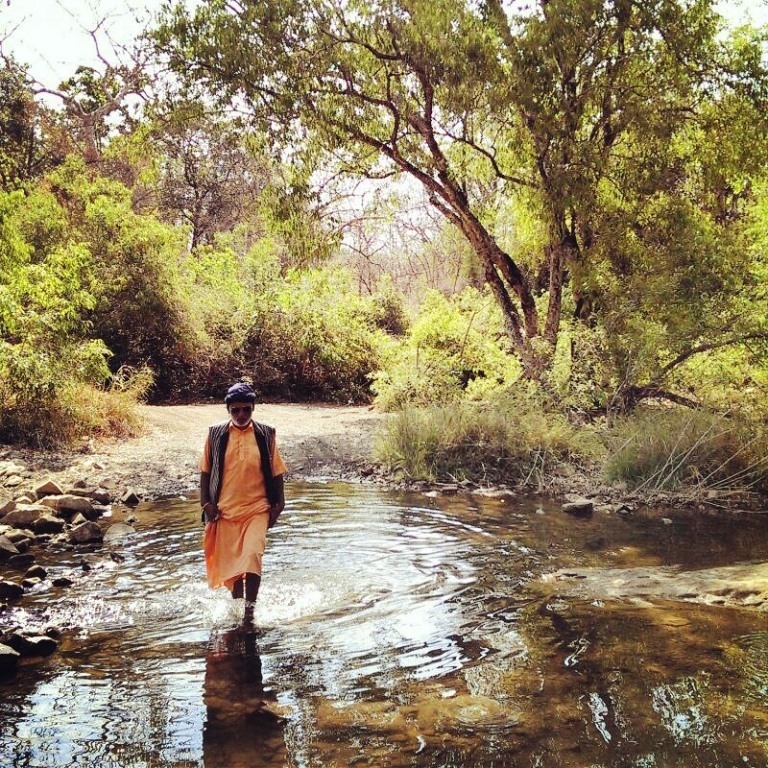 He returned to his ashram, where he has lived since 2000, crossing a stream he called Choti Ganga. His only companions are two pet peacocks, Sonu and Monu. But it’s less lonely than you’d imagine. 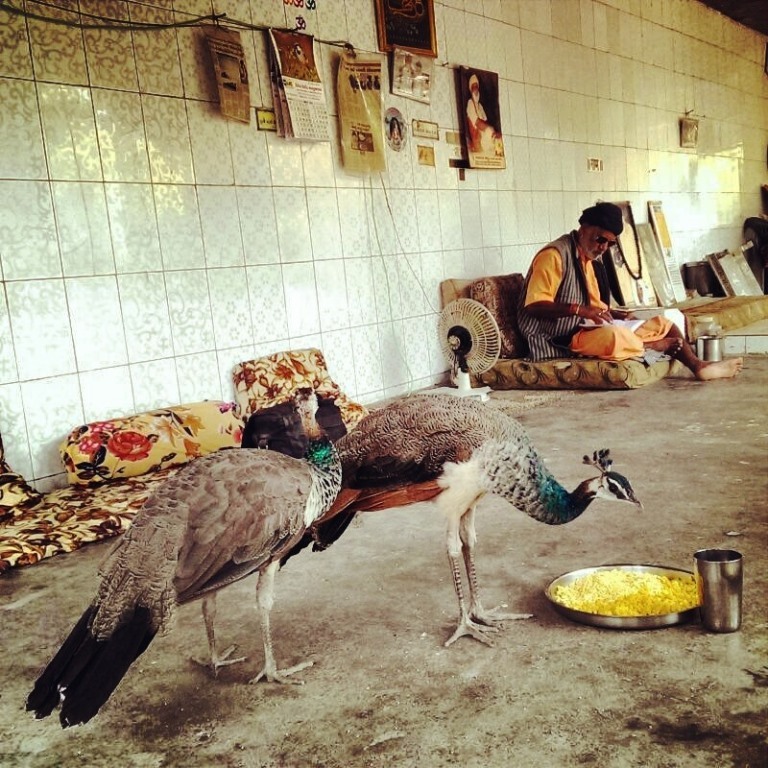 Other sadhus sometimes drop by to stay with him. Tourists out spotting lions often stop by his shrine. On Shiv Ratri, he gets as many as 4,000 pilgrims. Back home, Bapu revealed that he’d voted for the Bhartiya Janta Party. If the party comes to power, he expects it to give him money to renovate his temple. After that’s done, he wants to start charging visitors to stay in ashram, just the way the forest department charges tourists to enter the forest.